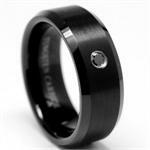 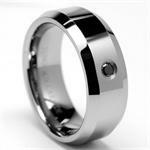 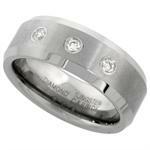 This men's wedding band is made from the finest quality Tungsten. It is rounded on the inside which reduces pressure points and makes it very comfortable to wear. 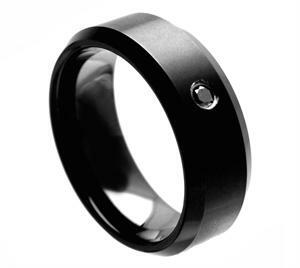 This tungsten ring will never scratch, which makes it perfect for everyday use. 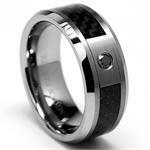 TUNGSTEN WEDDING RING, TUNGSTEN CARBIDE 8 MM / COMFORT FIT FLAT BAND W/ .072 CARAT BRILLIANT CUT DIAMOND.